Spring is upon us! 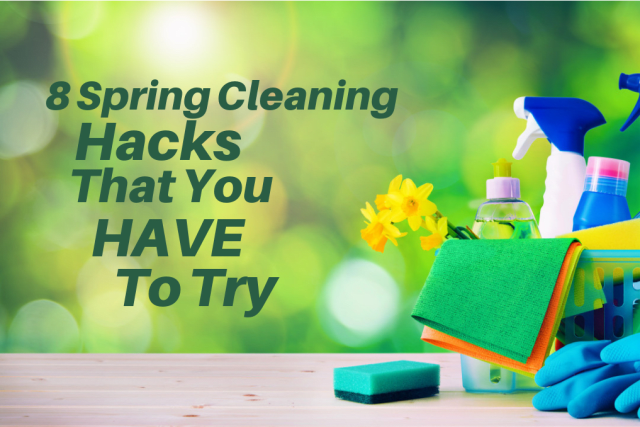 Get ready for your annual spring cleaning routine by brushing up on these genius spring cleaning hacks! 1. Clean your shower head with vinegar and lemon. Fill a sandwich bag with equal parts warm water, vinegar and lemon. Hold under your shower head for a few minutes then wipe clean! 2. Clean your microwave by placing cut up lemon wedges in a bowl of water, place inside and cook on high for 2 minutes, then wipe the sides of your microwave. Clean as a whistle! Beep! 3. Dust with dryer sheets. Use a dryer sheet to dust blinds. The dust sticks instantly, plus they leave behind a subtle scent! 4. Clean air vents by sliding a butter knife wrapped in a paper towel between the slats. 5. Use shaving cream to life carpet stains. Let it sit for a few minutes then wipe with a damp cloth. 6. Run your sponges through the dishwasher to disinfect them. 7. Clean your ceilings by attaching a towel to the end of a broom. And now for the final tip! 8. Store your sheet sets inside their matching pillowcase for a neat, easy way to store your bedding.